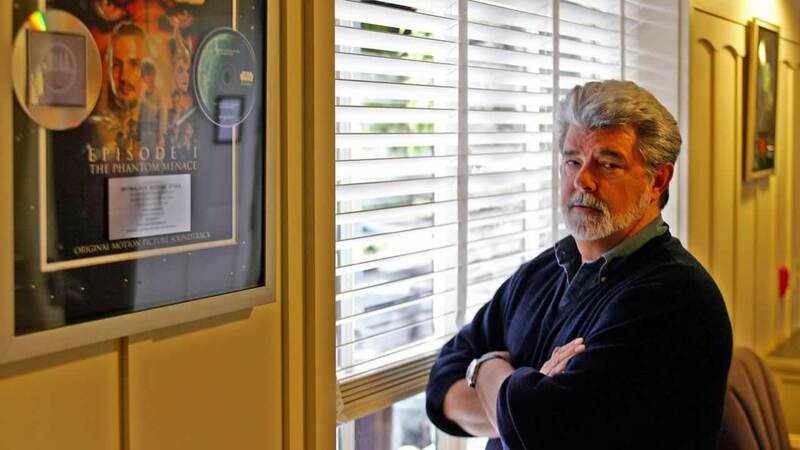 Filmmaker George Lucas poses at Skywalker Ranch in San Rafael, Calif., Wednesday May 4, 2005. CHICAGO -- "Star Wars" creator George Lucas announced Friday that he has abandoned plans to build his art museum in Chicago, blaming delays over a lawsuit from a parks group opposed to development along the city's prized lakefront. The filmmaker said in a statement he would take his Lucas Museum of Narrative Art to his home state of California, but he did not name a specific location. He blamed Chicago's Friends of the Parks group for suing to stop construction on what is currently a parking lot for the NFL football stadium Soldier Field. "No one benefits from continuing their seemingly unending litigation to protect a parking lot," Lucas said. Friends of the Parks said it was unfortunate that Lucas wouldn't consider an alternate Chicago site away from the lake. Mayor Rahm Emanuel and members of the city's cultural and business communities had backed the director's plans to bring the museum to a lakefront area that is already home to a natural history museum, planetarium and aquarium. But it set off an impassioned fight with Friends of the Parks, which argued the museum plans violated laws restricting development along Lake Michigan. Emanuel released a statement Friday calling it a "missed opportunity" that would cost the city millions of dollars in economic investment, thousands of jobs and educational opportunities for the city's youth. "Unfortunately, time has run out and the moment we've consistently warned about has arrived - Chicago's loss will be another city's gain," Emanuel said. The city's official tourism organization, Choose Chicago, called it an "enormous loss." The 17-acre site just south of the Chicago Bears' home stadium would have erased a parking lot and added 4.5 acres of new parkland, according to designs released in September. Supporters defended it as an improvement that would have transformed an asphalt expanse into green space with dazzling landscape design by renowned Chicago architect Jeanne Gang. They said the museum's futuristic building - a sloping dune-like form topped with an observation deck resembling a floating disc -would have added to Chicago's tradition of bold architecture. The museum, wherever it ends up, will showcase popular art Lucas has collected since college, including illustrations by Norman Rockwell, Maxfield Parrish and N.C. Wyeth, as well as works by Lucas's visual effects company, Industrial Light and Magic.